Size of this preview: 800 × 591 pixels. Other resolutions: 320 × 236 pixels | 640 × 473 pixels | 1,024 × 756 pixels | 1,280 × 945 pixels | 3,500 × 2,585 pixels. label QS:Lde,"Die Zerstörung des Tempels von Jerusalem." label QS:Len,"The destruction of the Temple of Jerusalem." label QS:Lit,"La distruzione del Tempio di Gerusalemme." 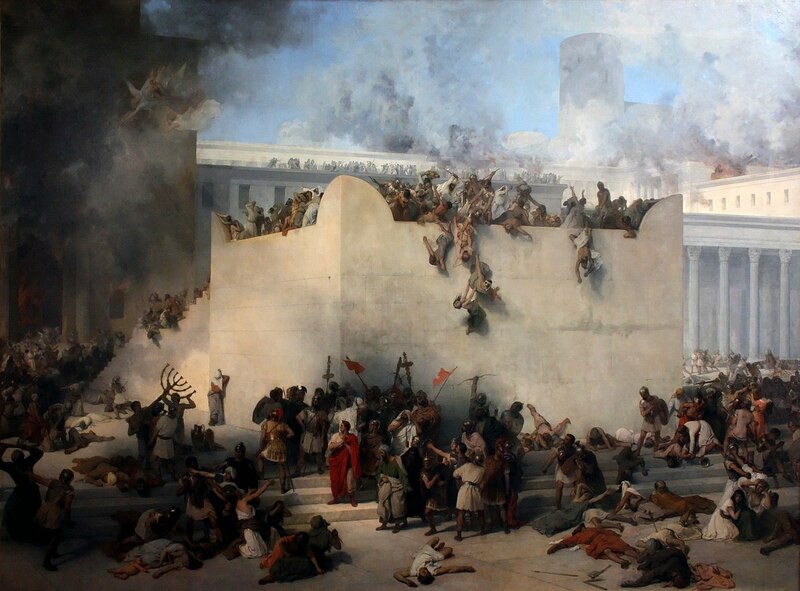 Notes Event: In the year 70 CE, the Second Temple in Jerusalem was destroyed by the Roman army during the First Jewish-Roman War. This page was last edited on 12 August 2018, at 09:02.